R-390A Tube List: 0A2 (1), 3TF7 (1), 5814 (7), 6AK5 (2), 6AK6 (3), 6BA6 (6), 6C4 (3), 6DC6 (1). 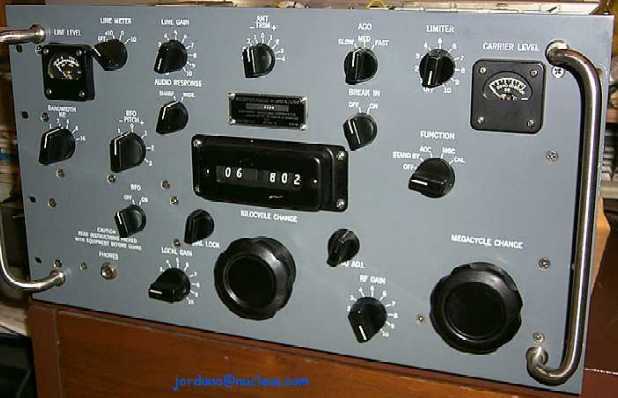 The R-390 receiver was originally designed by Collins Radio Company for military and government applications. The receiver was later re-designed as the R-390A/URR in order to reduce the number of tubes and to improve selectivity through the use of mechanical filters. Although Collins Radio Company developed and manufactured the R-390A/URR under government contract, approximately twelve other companies were also contracted to assemble the receiver and provide components according to contract specifications. 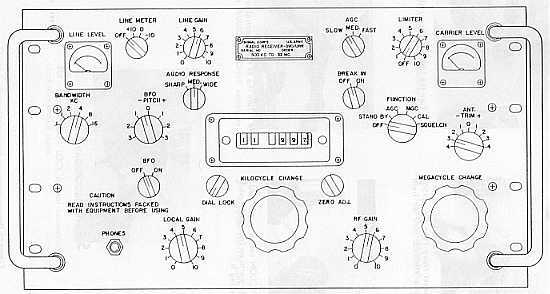 Over 55,000 R-390A receivers were manufactured by Collins, Motorola, Imperial, EAC, Teledyne, Stewart-Warner, Capehart, etc. from about 1954 to 1984. The R-390A is often considered to be one of the best vacuum tube general coverage receivers available for AM, CW and RTTY operation. The receiver is as innovative mechanically as it is electrically and was designed by a mechanical engineering team in addition to the electrical engineering group. The odometer type dial, PTO, and various RF and IF coils are operated through a system of mechanical gears, cams and linkages. Each turn of the frequency tuning knob corresponds to 100 kHz on the linear dial. 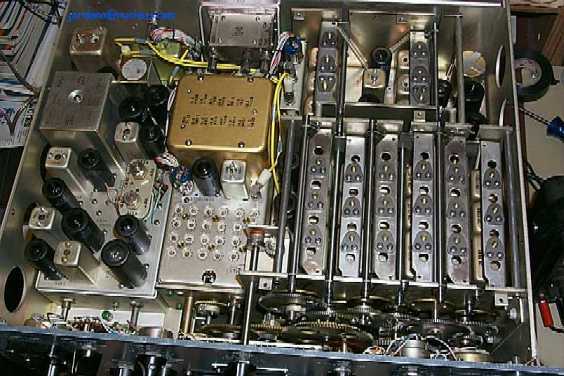 The receiver design is a triple conversion superheterodyne with 26 Tubes. It covers from 0.5 MHz through 32 MHz in 32 continuously tunable bands and offers six IF bandwidths designed for CW, AM and RTTY operation. The 455 kHz IF utilizes crystal filters for 0.1 and 1 kHz bandwidths and mechanical filters for 2, 4, 8 and 16 kHz bandwidths. Operational capability of the receiver allows for remote control of the AGC and RF gain adjustments. The receiver also has provisions for diversity operation, external monitoring, and break-in operation with a local transmitter. There are two antenna inputs, one to accommodate balanced antennas and the other for unbalanced or whip type designs. Two audio outputs allow for local and line out. The receiver's modular design utilizes six field replaceable subassemblies or modules for quick diagnostics and repair. Linear tuning over a continuous frequency range of 0.5 to 30 MHz. Fixed Station operation with some remote control capability; military and government installations. 110/220 vac 48-62 Hz, 220 watts. Continuously adjustable (+/- 3 kHz). Variable delay Automatic Gain Control (AGC) with remote control capability. Two audio outputs, one for Local front panel control (600 Ohm impedance, pins 6 and 7 on rear terminal strip) and the other for Line out. Receiver: 10 1/2" high x 19" wide x 17" deep.